The Champs-Élysées Avenue in Paris seemed more like the Gaza Strip on Saturday as French protesters with “yellow vests” threw stones at riot police forces, who used tear gas to disperse the demonstrators outraged by fuel price hikes and President Emmanuel Macron’s policies. 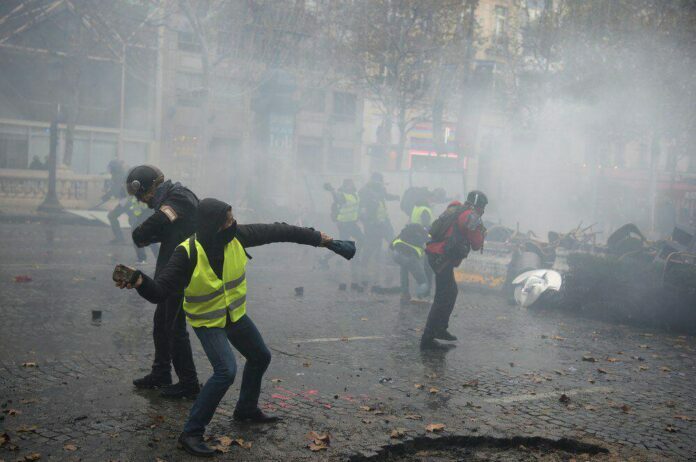 Protesters, who flooded the French capital to rally against rising fuel prices and a planned fuel tax, were seen throwing stones at and scuffling with police who used water cannons and pepper spray to disperse them, the IRIB correspondent in Paris reported. Several protesters were seen being arrested. 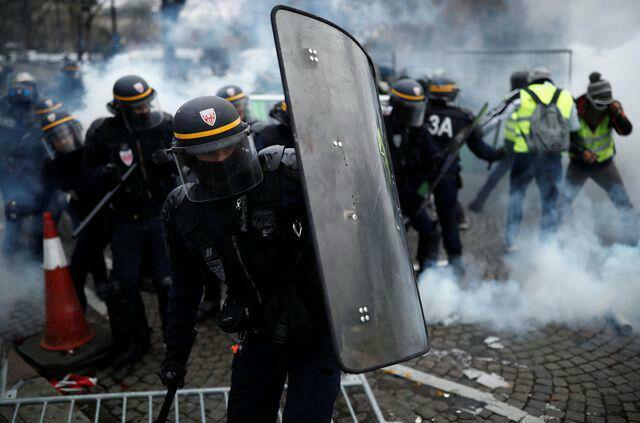 On Friday night, a man wearing an explosive device demanded “yellow vest” protesters be given an audience by the French president. The 45-year-old man, who was finally arrested by the Police, was wearing a yellow vest and revealed the device at a car wash in a shopping centre in the town of Angers, in western France. The first protest on Nov. 17 saw 300,000 demonstrators taking part, blocking major roadways nationwide resulting in two dead and 606 injured. 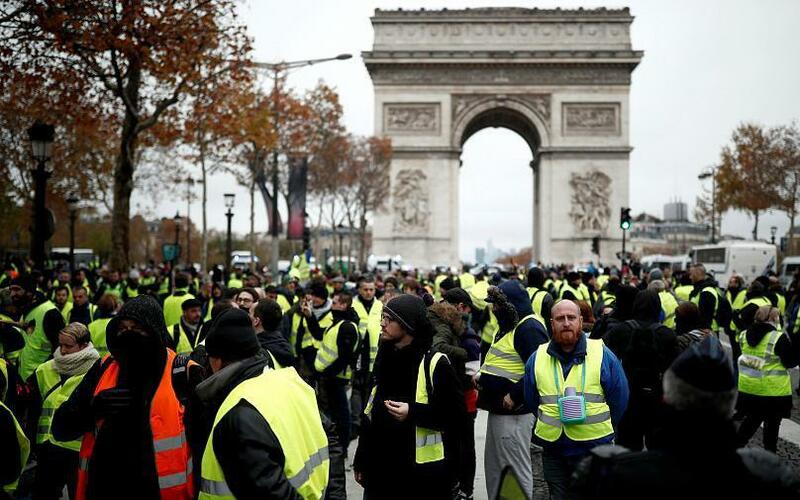 The “yellow vest” protest movement has grown over the past weeks, as the government plans a tax increase on fuel, including gasoline and diesel, beginning on January 1, 2019 to promote environmentally friendly practices.